Members have access to tennis 24/7! CCC has two lit tennis courts for members use and for lessons. During the summer we offer junior tennis camps as well! 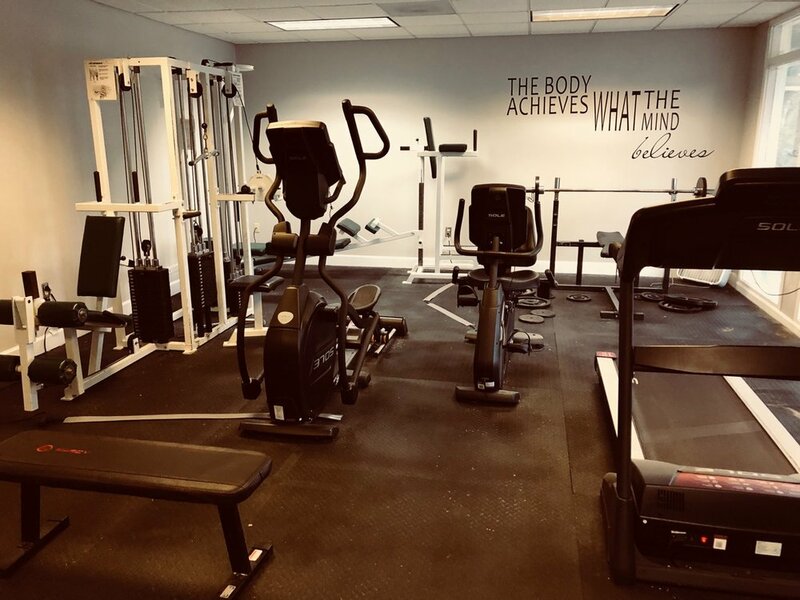 Members also have access to our fitness room 24/7! CCC just recently upgraded the equipment. Improve your golf fitness onsite! CCC has all the stuff you need to improve your golf fitness or just your fitness in general. We have cardio machines, weight machines and free weights. There is even a tv to keep you entertained. The fitness room has a key code that allows member access anytime.